The online version of this article ( https://doi.org/10.1007/s40265-018-0964-9) contains supplementary material, which is available to authorized users. Carbamazepine and oxcarbazepine are the first-choice drugs for paroxysmal pain in patients with trigeminal neuralgia. These drugs, effective in virtually all patients, produce side effects causing withdrawal from treatment in about 20% of cases. A new, better tolerated, Nav1.7 selective state-dependent, sodium channel blocker is under development. Currently there is a lack of evidence for most effective medications in patients affected by TN with concomitant continuous pain; these patients may benefit from medications used for neuropathic pain. Trigeminal neuralgia (TN) is a representative neuropathic facial pain condition, characterised by unilateral paroxysmal pain described as stabbing or electric shock-like, in the distribution territory of one or more divisions of the trigeminal nerve and triggered by innocuous stimuli . According to the new classification and diagnostic grading of TN issued by the International Association for the Study of Pain (IASP), TN is distinguished in three diagnostic categories—classical, caused by vascular compression producing anatomical changes in the trigeminal nerve root—secondary, due to an identifiable underlying neurologic disease,—idiopathic, when even after MRI or other investigation, the aetiology of TN remains unclear (Table 1) . Regardless of the aetiology, the primary mechanism of paroxysmal pain is the same, i.e. a focal demyelination of primary trigeminal afferents near the entry of the trigeminal root into the pons, making the axons hyper-excitable and increasing the susceptibility to ectopic excitation, ephaptic transmission, and high-frequency discharges [3, 4, 5]. TN has an annual incidence of three to five per 100,000. It is more common in women than men (age adjusted ratio: 1.74:1) and in people aged 50–69 years [6, 7]. In virtually the entire population of patients with TN, at least one trigger capable of provoking a paroxysm can be identified. In a recent study, provocation of paroxysmal pain by various trigger manoeuvres was reported by 136 of the 140 patients. The most frequent manoeuvres were gentle touching of the face and talking. Trigger zones were predominantly reported in the perioral and nasal region and were variable in size . These data are coherent with the use of trigger factor as an essential diagnostic feature for a clinically established diagnosis of TN . Patients with TN may suffer from different types of pain, ranging from single attacks to a series of prolonged attacks, and it was suggested that these pain characteristics can vary over time . Traditionally, autonomic symptoms such as tearing and rhinorrhoea have not been associated with TN. However, it is now known that a large proportion of TN patients have autonomic symptoms . A subgroup of patients with TN also suffer from concomitant continuous pain (CCP), described as dull, burning or aching . This condition has been described with several definitions, including atypical TN and TN type 2; the International Headache Society Classification (ICHD)  defined this relatively uncommon type of TN as TN with concomitant continuous facial pain. The presence of continuous pain is not related to aetiology and may occur in idiopathic, classic, or secondary TN. Background pain distribution coincides with that of the paroxysmal pain, and fluctuations of its intensity parallel in time those of the paroxysmal pain [12, 13]. A prevalence three times higher in women than in men was reported . In a cohort of 158 patients with TN, continuous pain developed within a mean period of 1.5 years since the disease onset, thus suggesting that this kind of pain is not a consequence of a long duration of stabbing pain . The mechanisms underlying continuous pain, as opposed to paroxysmal pain, are not fully understood, with implications for treatment. There is the evidence that continuous and paroxysmal pain may improve differently after microvascular decompression, thus supporting the hypothesis that the mechanisms responsible for the two pain components may be different [14, 15, 16, 17]. Central mechanisms  and progressive root damage due to compression  have been proposed as possible factors. Carbamazepine (CBZ) and oxcarbazepine (OXC) are the first-choice medical treatment in TN. They have the same mechanism of action, the blockade of voltage gated sodium channel in a frequency dependent manner, resulting in the stabilization of hyperexcited neural membranes and in the inhibition of repetitive firing. In patients with purely paroxysmal pain, CBZ and OXC are effective in virtually the entire patient population. However, they produce side effects to a level that cause interruption of treatment or a dosage reduction in 23% of patients , making necessary the development of new, more selective sodium channel blockers. Conversely in patients with CCP, the efficacy of CBZ and OXC may drop, thus suggesting the opportunity to test the efficacy of different drug categories. A wide range of drugs has been investigated in TN, but the scientific literature highlighted the need of high quality clinical trials in TN . 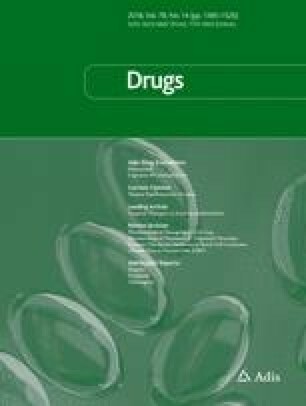 The aim of this review, based on a systematic search of relevant literature, is to provide current, evidence-based, knowledge about the pharmacological treatment of typical and atypical TN, with a specific focus on drugs in development, such as botulinum toxin A and new, more selective sodium channel blockers. We searched for relevant papers within the PubMed, EMBASE and the Cochrane Database of Systematic Reviews, taking into account publications up to February 2018. All searches used the following synonyms for TN: trigeminal neuralgia and tic douloureux. The primary search was supplemented by a secondary search using the bibliographies of the retrieved articles. Only full-length, original communications including open-label studies were considered, and the search was limited to English language publications. Clinical trials database (ClinicalTrial.gov) has been checked in order to include in the analysis studies currently in progress. The review process was carried out independently by two reviewers and only publications independently approved by the two authors were taken into account (Supplementary Material 1). The authors independently assessed the quality of the individual trials during data extraction. Inclusion criteria were the following: trials including patients with a diagnosis of typical or atypical TN, including classical, idiopathic and secondary TN, and a minimum sample of 10 patients. CBZ and OXC are the first-line treatment in TN. Their effect is related to the blockade of voltage-sensitive sodium channels in a frequency dependent manner, resulting in the stabilization of hyperexcited neural membranes and inhibition of repetitive firing. Systematic reviews and randomised controlled trials, including 147 patients [22, 23, 24, 25, 26, 27, 28, 29], demonstrated the efficacy of CBZ compared to placebo, with a number-needed-to-treat (NNT) to obtain pain relief of 1.7–1.8. However, CBZ showed a number-needed-to-harm (NNH) of 3.4 for minor and 24 for severe adverse events . In the study of Killian and Fromm , with a maximum daily dose of 1000 mg, 19 of 27 participants had a complete or very good response with CBZ compared with minimal or no response with placebo on a 5-day treatment. Nicol , using a cross-over design and a maximum daily dose of 2400 mg, reported that 15 of 20 participants randomised to initial CBZ had a good or excellent response after 14 days’ treatment, compared with 6 of 24 reporting good or excellent response who started on placebo. Superiority of CBZ was also reported by Rockliff and Davis  in a small sample of patients with three days’ treatment with CBZ. In the study from Rasmussen and Riishede , after 5 days’ treatment, 46 of 55 patients with TN had good effect on CBZ, compared with 8 of 55 on placebo. Campbell and colleagues  reported a mean fall in maximum pain intensity of 58% after 2 weeks treatment with CBZ 400–800 mg daily compared to 26% with placebo (Supplementary Material 1). Compared to CBZ, OXC showed a similar efficacy in reducing pain attacks but a greater tolerability and a lower potential for drug interaction . However, data from full randomised controlled trials are not available, thus precluding the NNT and NNH calculation. A pilot study on OXC with extended-release formulation is currently in progress (ClinicalTrials.gov Identifier: NCT03374709). Lamotrigine acts at level of the voltage-sensitive sodium channels, stabilises neural membranes and inhibits the release of excitatory neurotransmitters. Two systematic reviews [23, 31] identified a small double-blind crossover randomised controlled trial comparing lamotrigine versus placebo in 14 patients receiving CBZ or phenytoin. Patients continued to take a steady dose of CBZ or phenytoin throughout the trial over a 31-day period. Each arm of the trial lasted 2 weeks with an intervening 3-day washout period. The maintenance dose of lamotrigine was 400 mg. This study showed that lamotrigine in combination with CBZ or phenytoin was slightly more effective than placebo. The adverse reactions with both lamotrigine and placebo were predominantly dose-dependent effects on the central nervous system (CNS). One patient withdrew from the study due to severe pain during the placebo arm of the trial . A crossover study involving 21 patients with TN compared lamotrigine (400 mg) with CBZ (1200 mg) . CBZ reduced pain in 90.5% (19/21) and lamotrigine in 62% (13/21) of the patients using both visual analogue scale (VAS) and verbal rating scale. The reported side effects were headache, dizziness and skin rash. Two studies tested the efficacy of baclofen in TN [34, 35]. This drug is a GABAB receptor agonist and depresses excitatory neurotransmission. Baclofen was superior to placebo in reducing the number of painful paroxysms in a randomised controlled trial including ten participants; baclofen significantly decreased the number of painful paroxysms in seven patients . A double-blind crossover trial in 15 patients showed that l-baclofen was more effective than five times as much racemic baclofen in nine patients. Six of these nine patients have continued pain-free on l-baclofen for 4–17 months (mean, 10 months). l-baclofen was much better tolerated than racemic baclofen . However, these studies showed several limitations, such as the small sample of patients and the short duration of treatment, so the results must be interpreted with caution. One systematic review  identified three randomised controlled trials comparing pimozide , tizanidine  and tocainide  with CBZ. Pimozide was more effective than CBZ in a double-blind crossover 24-week trial including 48 patients suffering from refractory TN but significant side effects of this neuroleptic drug, including CNS disturbances, hand tremors and memory impairment were reported . The effect of tizanidine, a centrally acting alpha-adrenergic agonist, in comparison with CBZ was tested in a very small sample of patients. After individual titration of tizanidine and CBZ, the maximum daily doses were 18 mg and 900 mg, respectively, and the difference was not statistically significant . Tocainide, a sodium channel blocker with anti-arrhythmic action, was tested in 12 participants in a double-blind cross-over study for 2 weeks, but significant side effects limited its use . The efficacy of calcium channel blockers, gabapentin and pregabalin, has been assessed in small controlled or open-label studies. These drugs exert their pharmacodynamic effect by modulating voltage-gated calcium channels and thus reducing release of excitatory neurotransmitters. One systematic review and meta-analysis  identified 16 randomised controlled trials, all published in Chinese, on the efficacy of gabapentin in comparison with CBZ in the treatment of TN. 1331 patients were included and VAS score was used to assess the effect of treatment. The total effective rate of gabapentin therapy group was similar with CBZ therapy group and the adverse reaction rate of gabapentin therapy group was significantly lower than that of CBZ. However, the authors concluded that the trials are all poor in terms of methodological quality . Pregabalin was not tested in randomised controlled trials. An open-label study including 53 patients showed the efficacy of pregabalin in reducing TN by over 50% in 74% of patients . Two observational studies, including 65 patients, proved the efficacy of pregabalin in monotherapy (n = 36) or add-on (n = 29) for 12 weeks. However, according to the inclusion criteria, patients with an atypical facial pain might also have been included [42, 43]. In an open-label crossover trial involving 22 patients with refractory TN using lamotrigine and pregabalin together with CBZ, pregabalin showed a comparable efficacy and a better patient tolerance than lamotrigine . Among anticonvulsants, open label studies investigated the efficacy of levetiracetam. A pilot study investigated the efficacy and tolerability of this drug in 10 patients with TN over a period of 10 weeks. Patients were treated with up to 4000 mg daily and 40% reported an improvement of 50%–90% . In an observational trial, including 23 patients with refractory TN, levetiracetam (3–4 g/day) for 16 weeks decreased the number of daily attacks by 62.4% . Eslicarbazepine, a third-generation antiepileptic drug belonging to the dibenzazepine group, targets the voltage-gated sodium channels and is currently approved as adjunct therapy for focal seizures. A recent retrospective, open-label, multicentric, intention-to-treat study assessed the efficacy and safety of this drug in patients with TN. Eighteen participants were included; the dose of eslicarbazepine ranged between 200 and 1200 mg/day. Responder rate was 88.9%; 71% of patients presented some adverse events and four patients discontinued the treatment . Two randomised controlled trials investigated the effect of local anaesthesia injected into trigger area [48, 49]. These studies, combining the peripheral analgesic block with ropivacaine and CBZ or gabapentin, showed improved outcome. In the randomised controlled trial combining the peripheral analgesic block with ropivacaine and CBZ in 45 patients, the association protocol resulted in a significant reduction in pain intensity, number of daily pain paroxysms and daily dose of CBZ intake, when compared with CBZ in monotherapy . In the randomised controlled trial in 36 patients combining gabapentin with ropivacaine injection into trigger areas showed improved pain control and quality of life . The association treatment was safe, without side effects and resulted in an important clinical benefit with an improvement of the functional health status of TN patients when compared with gabapentin alone. A reduction of VAS score after 7 and 28 days of treatment was reported, and this effect was still present 6 and 12 months later. The NNT (gabapentin + ropivacaine vs gabapentin protocols) to obtain 1 gabapentin + ropivacaine-treated patient with at least 50% pain relief was 1.71 (day 7) and 2.40 (day 28). Two randomised controlled trials tested the short-term effect of topical 8% lidocaine versus placebo in TN [50, 51]. In the study of Kanai et al. , including 25 patients with TN involving the second division, those given an 8% spray of lidocaine as opposed to saline had a statistically significant decrease in pain. The effect of treatment persisted for a mean of 4 h without serious adverse reactions. In the study of Niki et al. , including 24 patients with TN and severe intraoral pain, the application on the painful areas of 8% lidocaine significantly reduced the NRS score of paroxysmal pain for a mean of 3 h, without serious side effects. However, these studies showed several criticisms and the findings must be interpreted with care. Recent studies tested the effect of 5-HT1A/1B/1D receptor agonist on pain relief in patients with TN. These drugs may inhibit vasodilation and inflammation near the demyelinated trigeminal root. Two randomised controlled trials tested the effect of subcutaneous injection of sumatriptan 3 mg and the oral administration of 50 mg twice daily [52, 53]. Fifteen minutes after injection of sumatriptan, the baseline VAS decreased from 8.3 to 2.4 cm. At the end of oral treatment, the VAS was significantly decreased, and this effect persisted after treatment discontinuation for a further week. However, the side effects related to a long-term use, including a triptan overuse headache, exclude the use of sumatriptan in the long-term treatment of TN. In a randomised controlled trial including 20 patients with intractable TN, a single dose of intravenous lidocaine (5 mg/kg over 60 min) was superior in reducing pain intensity compared to placebo during the first 24 h after the infusion . A new Nav1.7 selective state-dependent, sodium channel blocker (vixotrigine) is under development. Nav1.7, a major sodium receptor in the nociceptive system, is not located in the brain, thus preventing any side effects associated with depression of CNS excitability . A Phase 1 study demonstrated the good tolerability of vixotrigine, administered at therapeutic doses without lengthy titration. The new drug was tested in a double-blind, placebo-controlled, randomised withdrawal Phase 2a trial, including 67 patients with classical and idiopathic TN . After a 7-day run-in phase, eligible patients received open-label, vixotrigine 150 mg 3 times per day, orally, for 21 days. Patients who met at least one response criteria were then randomly assigned (1:1) to vixotrigine or placebo for up to 28 days in a double-blind phase. Although the primary endpoint of treatment failure was not significantly lower in the vixotrigine group than in the placebo group, significant treatment differences versus placebo in secondary endpoints were found, including time to treatment failure, number of paroxysms and average daily pain score. The new drug was well tolerated, and no severe or serious adverse events were reported. A Phase 3 placebo-controlled, double-blind randomised withdrawal study is currently in progress (ClinicalTrials.gov Identifier: NCT03070132). Botulinum toxin type A (BTX-A), an exotoxin released by the gram-positive bacterium Clostridium botulinum, is supposed to block the TRPV1 receptor of unmyelinated C fibre terminals and limit the release of substance P, calcitonin gene-related peptide and glutamate from presynaptic terminals of the primary sensory neurons. A systematic review  identified 4 randomised controlled trials, on 178 patients, testing the effect of BTX-A in patients with TN [57, 58, 59, 60]. The total dosage administered varies from 25U to 75U and the number of injections from 8 to 20. The injections were administered intradermally and/or submucosally where pain was experienced according to the patient’s description. The overall effect favoured BTX-A versus placebo in terms of proportion of responders; paroxysms frequency per day was significantly lower for BTX-A group. The duration of effect was relatively long (at least 3 months). Adverse events included transient facial weakness, oedema and haematoma at the site of injection. Despite these encouraging findings, future studies assessing the optimal dose, duration of the therapeutic efficacy, adverse events, the time and indications for repeat injection are required. To our knowledge, no data are available about the effect of repeated BTX-A injections in TN. A clinical trial comparing intradermal/submucosal injection and intra-masseter injection of BTX-A is currently in progress (ClinicalTrials.gov Identifier: NCT03331913). Recently, CO2 has been shown to be a modulator of activated nociceptive trigeminal neurons . Based on animal model, an antinociceptive effect of intranasal CO2 by activation of mucosal primary trigeminal afferents through a decreased mucosal pH was postulated . A controlled, randomised, parallel-group study investigated the effects of intranasal CO2 on TRPV1-mediated trigeminal pain in healthy volunteers. Only mild modulatory effect of intranasal insufflation of CO2 at flow rates of 1 L/min was found, and the clinical utility seemed limited since changes in pain ratings were therapeutically irrelevant . A Phase 2 placebo-controlled, single-blind study to evaluate the safety and efficacy of nasal CO2 has been conducted in patients with classical TN. All subjects received 3 doses of active and 3 doses of placebo. A single dose consisted of a 60-second delivery of CO2 or placebo. The primary outcome was pain relief assessed on VAS. Recruitment phase is completed; however, the study findings have not yet been published (ClinicalTrials.gov Identifier: NCT02473016). No randomised controlled trials were found in patients with secondary TN. The existing studies based on CBZ, OXC, eslicarbazepine, lamotrigine, gabapentin, pregabalin, topiramate and misoprostol have an open label design and include small sample of patients with multiple sclerosis (MS) [47, 64, 65, 66, 67, 68, 69, 70, 71, 72, 73, 74, 75, 76, 77, 78]. Only few studies provided details about the type of MS and the TN diagnostic criteria . One study used a VAS and recorded both intensity and number of attacks [75, 78]. These case series reported the potential efficacy of lamotrigine as monotherapy or in association with gabapentin or CBZ, topiramate and gabapentin. Three studies reported the efficacy of misoprostol (a prostaglandin-E1-analogue) in a total of 27 patients with TN secondary to MS [74, 75, 76]. According to the international guidelines , there is insufficient evidence to support or refute the effectiveness of any medication in treating pain in TN secondary to MS.
No clinical trials assessing pharmacological treatment of CCP in TN have been conducted. Different studies clearly demonstrated that continuous pain is associated with poor medical and surgical outcome [11, 14, 43]. Recently, in a prospective study including 158 patients with TN (also including patients with CCP), the prevalence of responders to sodium channel blockers was lower in the group with also CCP . On the basis of these data, constant pain is considered a predictor of poor treatment response. No study has assessed the drug effect in reducing constant and paroxysmal pain intensity separately. Because CBZ and OXC are extremely efficacious in increasing the refractory period of action potentials, they act on the high frequency discharges that characterise the paroxysms of TN. Usually, in patients with also continuous pain mediated by other pathophysiological mechanisms, a monotherapy with sodium channel blocker is not sufficient to control pain and other drugs are usually needed. As far as we know, calcium channel blockers and antidepressants, whose efficacy has already been proven in the treatment of neuropathic continuous pain due to several aetiologies, have never been systematically tested in TN patients with CCP. Future randomised controlled trials assessing these drugs as add-on treatment in TN with CCP are required. Based on evidence , CBZ (400–1200 mg/day) and OXC (900–1800 mg/day) are the first-choice medical treatment in TN. OXC should be preferred for better tolerability and the decreased potential for drugs interactions. These drugs are effective in most patients and the development of late resistance only occurred in a very small minority of patients. However, the side effects cause withdrawal from treatment in an important percentage of patients . Common initial side effects include drowsiness, nausea, dizziness, diplopia, ataxia and elevation of transaminases. Hyponatraemia occurs in 6–8% of patients; sodium levels are dose related and should be monitored during the treatment, especially when high dosage is used. Patients treated with diuretics may be more susceptible to developing sodium depletion . The addition of sodium chloride capsules can be helpful in patients with persistent hyponatremia. Serious but uncommon side effects include allergic rash, hepatotoxicity, lymphadenopathy, systemic lupus erythematosus, Stevens–Johnson syndrome and aplastic anaemia. Specific contraindications are cardiac conduction problems or severe arrhythmias. In a prospective, observational, exploratory survey of 161 patients with idiopathic TN, females treated with CBZ or OXC reported significantly more side effects than males . Pharmacokinetic and pharmacodynamic differences are likely to be the reason for gender differences in reporting side effects. The consumers’ views on treatments used for TN was investigated by using a self-administered questionnaire distributed to 133 patients and 21 clinicians attending national support group meetings in the USA and UK . All patients reported at least one side effect. The clinicians underestimated the number of side effects, but both groups agreed that drowsiness and cognitive impairment were the most disliked side effects. A prospective study investigated the risk and genetic association of OXC-induced cutaneous adverse reactions, including Stevens–Johnson syndrome/toxic epidermal necrolysis, in Asian populations. The authors found that HLA-B*15:02 was significantly associated with OXC-Stevens-Johnson syndrome in Chinese and Thai populations . CBZ is a potent inducer of CYP3A4 and other oxidative enzyme systems in the liver, and it may also increase glucuronyl transferase activity, leading to a number of clinically relevant drug interactions. OXC, a keto-analogue of CBZ, rapidly converted into its pharmacologically active metabolite, should be preferred for the better tolerability and the decreased potential for drugs interactions. A recent meta-analysis investigating the teratogenic effects of different antiepileptic drugs showed that children exposed to CBZ were at a higher risk of malformation than children born to women without, and women with untreated epilepsy . Vixotrigine, a new sodium channel blocker that is selective for the Nav1.7 receptor is under development and has promise of efficacy without inducing side effects related to CNS depression . Lamotrigine is considered a second-line treatment in patients with TN. Potential side effects of lamotrigine include dizziness, nausea, blurred vision and ataxia. Approximately 7–10% of patients will report a skin rash during the first 48 weeks of therapy . The dose of lamotrigine must be increased slowly in order to avoid skin rash. In patients with refractory TN, or in the event of withdrawal due to side effects, surgery should at least be proposed and discussed with the patient. In refractory TN, BTX-A is a promising alternative treatment option that might spare the need for surgical interventions . Although it is reasonable that BTX-A primarily acts on constant pain, to our knowledge, no study has reported the effects of injections in a subgroup of patients with CCP until now. During acute exacerbation, in-hospital treatment may be necessary for rehydration, management of hyponatraemia, titration of drugs, and, in selected case, lidocaine or fosphenytoin intravenous infusion, under specialist supervision and cardiac monitoring. Intravenous loading of fosphenytoin was reported in case series but no randomised controlled trials have been conducted until now [7, 84, 85, 86]. The first-line therapy in secondary TN is based on sodium channel blockers. In patients with MS-related TN, gabapentin, lamotrigine and topiramate represent other therapeutic options, but the quality of evidence is poor. In this patient category pharmacological treatment may potentiate some of the MS symptoms with a high dropout rate. Expert consensus suggests that baclofen may be useful in patients with MS who develop TN. Such patients are often taking baclofen already to reduce spasticity and may achieve control of symptoms without having to add CBZ. The main side effects of baclofen are transient sedation and loss of muscle tone. Abrupt discontinuation may cause seizures and hallucinations . In patients with TN, CCP is associated with poor medical and surgical outcome. In this condition, both calcium channel blockers (gabapentin and pregabalin) and antidepressants may be efficacious and should be tried as an add-on to OXC or CBZ. However, randomised, controlled, double-blinded trials are still lacking. Giorgio Cruccu received a research grant, consulting fees and payments for lectures from Alfasigma, and consulting fees from Angelini and Biogen. Andrea Truini received consulting fees or payment for lectures from Alfasigma, Angelini, Grünenthal and Pfizer. Giulia Di Stefano has no conflicts to declare. None (GDS, AT & GC). Stavropoulou E, Argyra E, Zis P, Vadalouca A, Siafaka I. The effect of intravenous lidocaine on trigeminal neuralgia: a randomised double blind placebo controlled trial. ISRN Pain. 2014:853826. https://doi.org/10.1155/2014/853826.